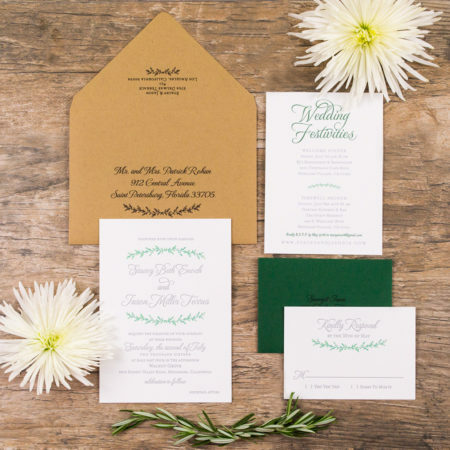 This couple wanted a design that would showcase the beauty of a botanical garden. 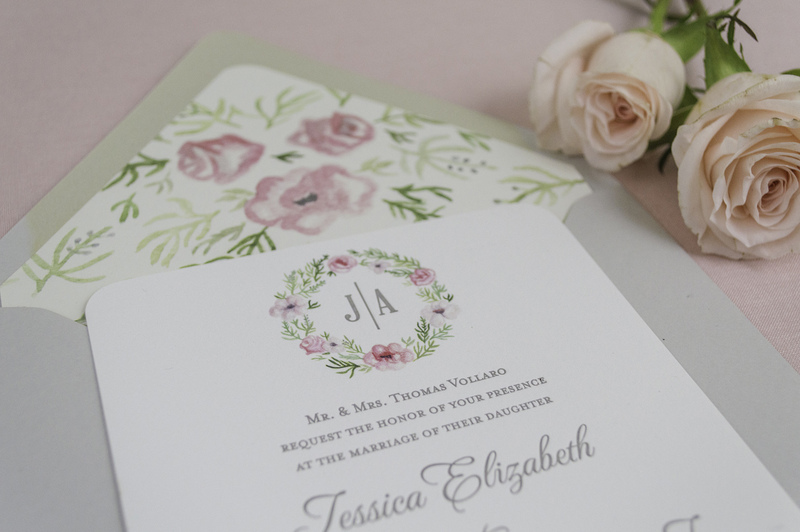 To bring their vision to life, we designed a custom monogram adorned with a watercolor wreath. 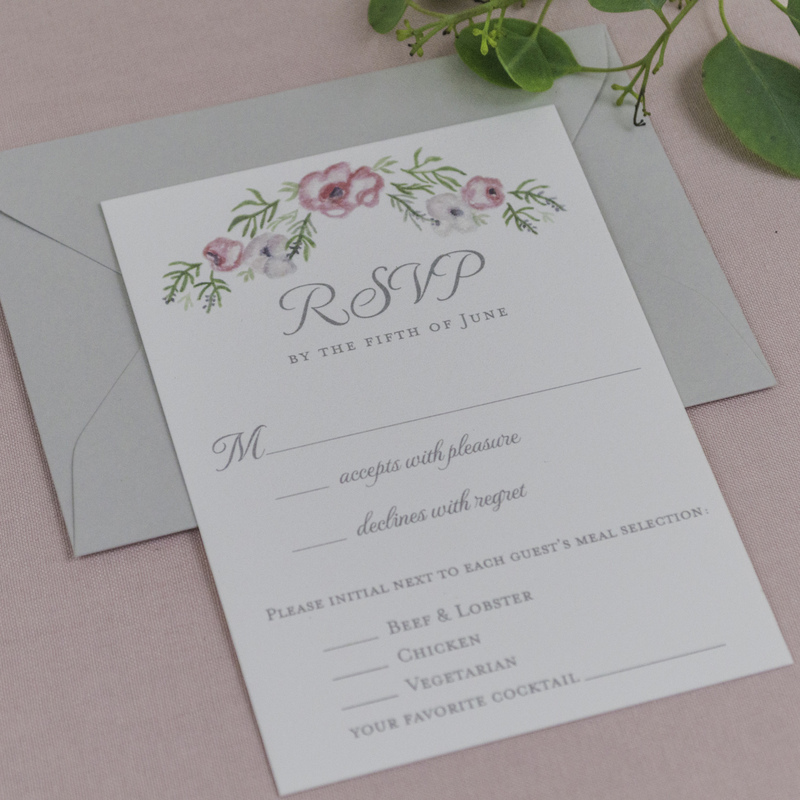 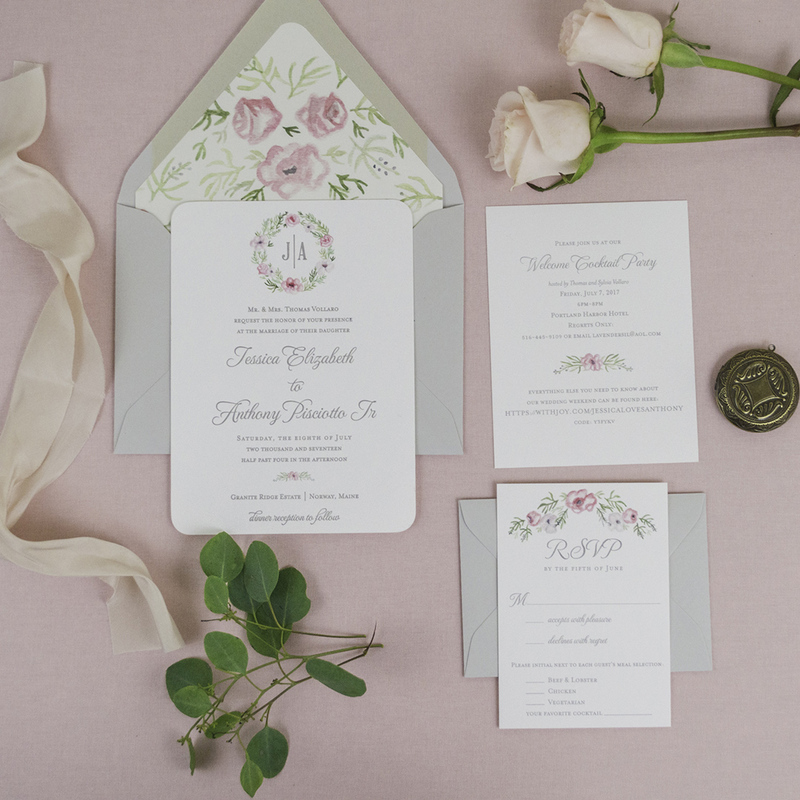 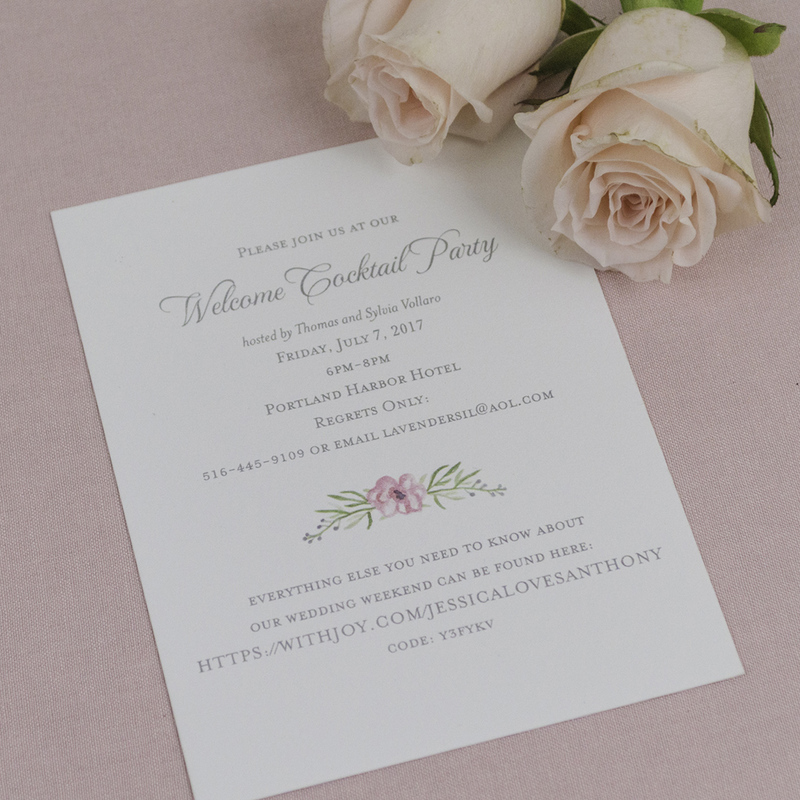 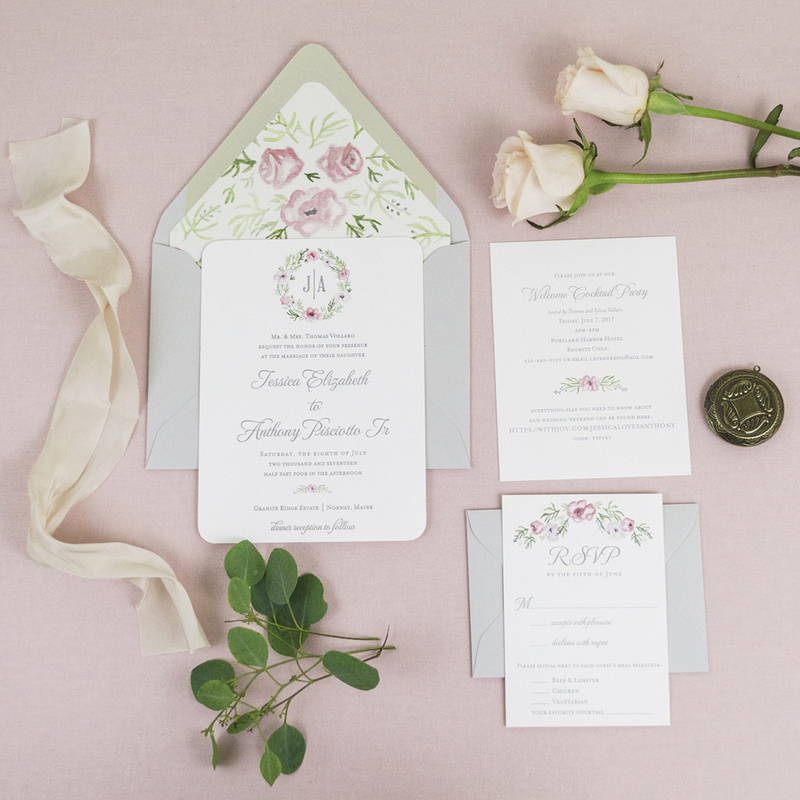 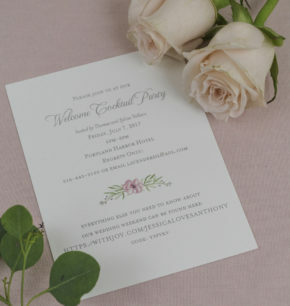 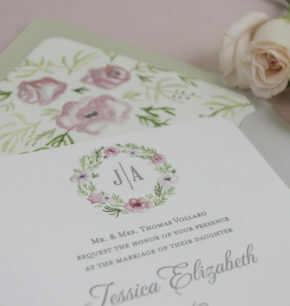 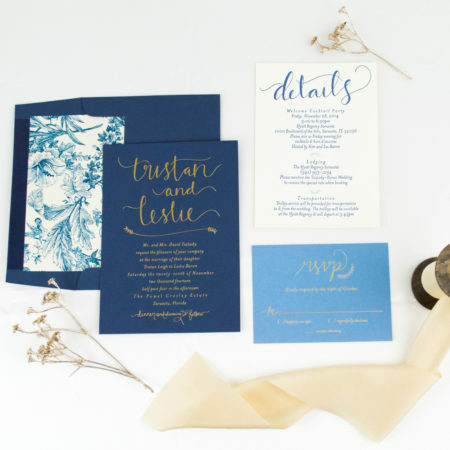 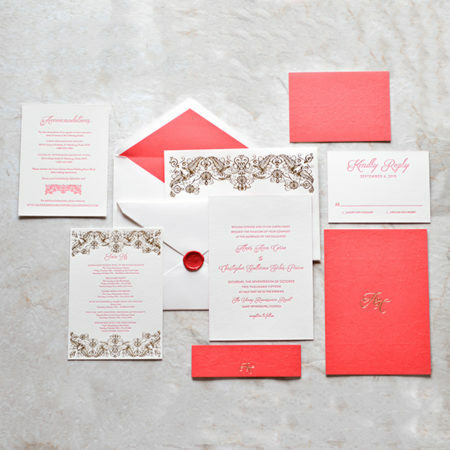 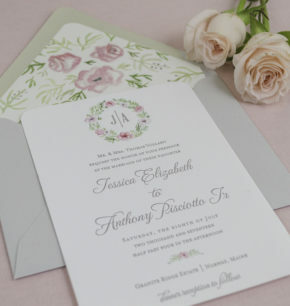 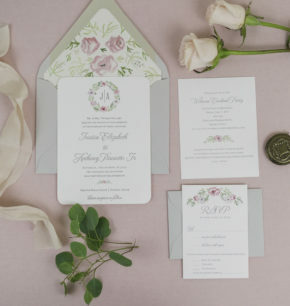 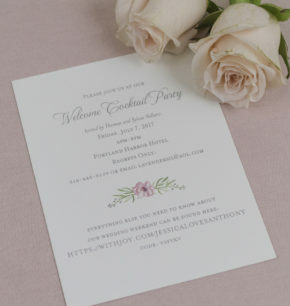 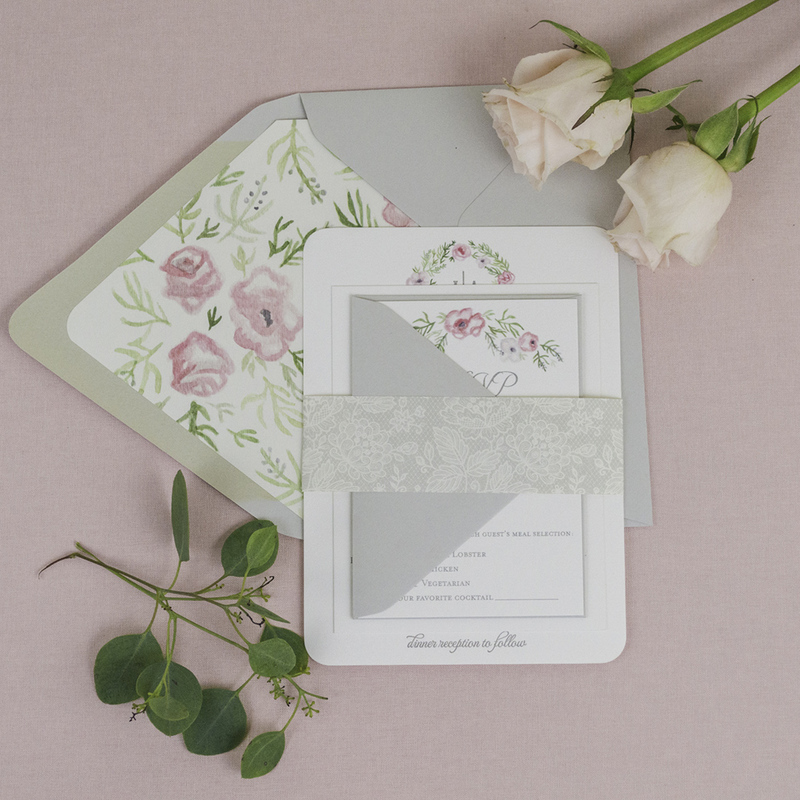 We also carried the watercolor design onto their envelope liner & rsvp card. 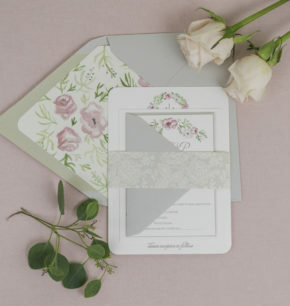 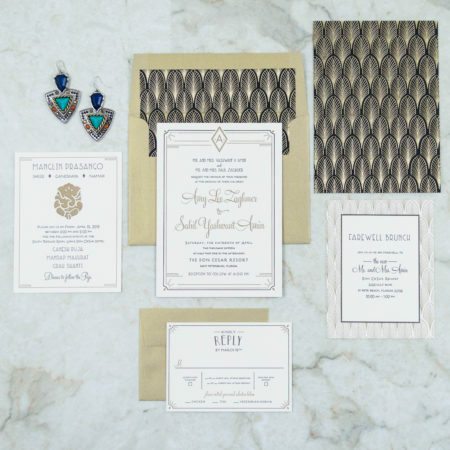 As a finishing touch, we tied the suite together with a lace-patterned bellyband, and paired each suite with a soft gray envelope.